Teaching 5+ years and loving every minute of it. Nooshen is passionate about more than the asanas while respecting their value and proper place. She has been raising her two beautiful boys using the yoga principals. She lives her yoga, to the best of her ability, on and off the mat. Her teacher has taught her the principals of alignment and their importance in daily life. We are not only aligning our bodies but also our hearts. Her style is heart, breath and alignment which she reminds herself and her students consistently. Her favorite part of teaching is the central focus of the breath, and showing students how the breath transforms them dynamically. She welcomes all type of students. 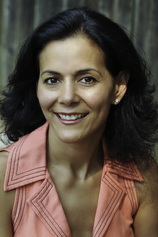 Her previous life as a government attorney has helped her in understanding and communicating the logic of the yoga philosophy and the yoga practice. It is her hope to help others access their peace and joy through yoga and to help them realize their full potential to be happy and healthy.